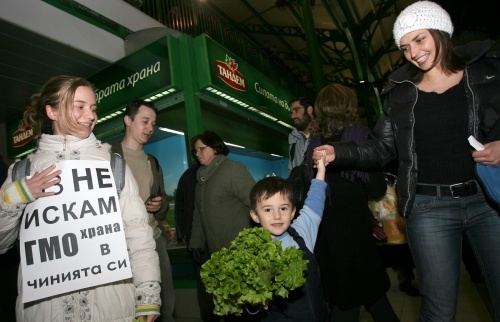 Five major Bulgarian cities are holding Thursday protests against the amendments of the Genetically Modified Organisms Act. “For the Nature” Coalition of NGOs together with mothers’ organizations are holding protests Thursday afternoon in Sofia, Varna, Plovdiv, Ruse, and Veliko Tarnovo against the planned changes of the GMO act which are supposed to allow the release of GMO in Bulgarian nature for the purposes of scientific tests. The law has been adopted at first reading but still have to pass a second reading. On Thursday, it will be considered by the Environment Committee of the Bulgarian Parliament.